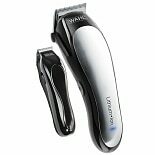 Maintain a well-groomed appearance in the comfort of your home by using hair clippers. No matter what length you prefer to keep your hair, you can use a hair clipper kit to get the look you want. Trim your own hair or give the whole family haircuts with time- and money-saving hair clippers from brands such as Andis, Wahl and Conair. 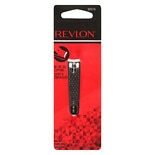 Look for the hair clippers that will suit your and your family's needs. If you have young children whose hair you'd like to cut at home, try kids hair clippers that are made to operate quietly and cordlessly to help keep haircuts pleasant and hassle-free. Most clipper kits have attachments for different lengths, so you can fully customize each haircut. And since many hair cutting kits also come with instructional information and tips, you can become an expert in cutting your own or your family's hair. To round out your collection of personal care and grooming items, find the barber shears that you can use to give your haircuts the finishing touches. These barber scissors are available in different lengths and materials for control and comfort. 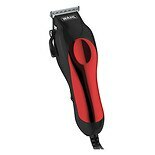 You can also find personal hair trimmers for removing nose and ear hair, and maintaining a beard or mustache.